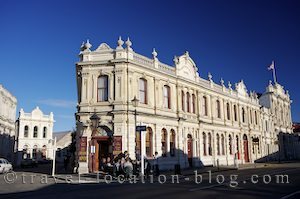 Old Precinct of Oamaru, New Zealand. It's time to pack the bags again and just in time as autumn starts to creep through New Zealand. The clocks went back an hour and there is a definite crispness in the air as the weather becomes a little less predictable. Our next mission is to get back to Canada initially - always a big deal when flying as a photographer with lots of gear (both for keeping track of equipment and for being harassed at check-in and security checks). From there we have plans A, B, C, and D to choose from. We have a number of trips lined up for the next few months, but until we arrive back into Canada and start preparations we won't know how our plans will transpire. So the long and the short of it is ... stay tuned and we'll fill you in just as soon as we know. Such is our life, as always our plans are liquid, but in order to keep our options open, we have to be flexible. Next blog entry will be from Canada!